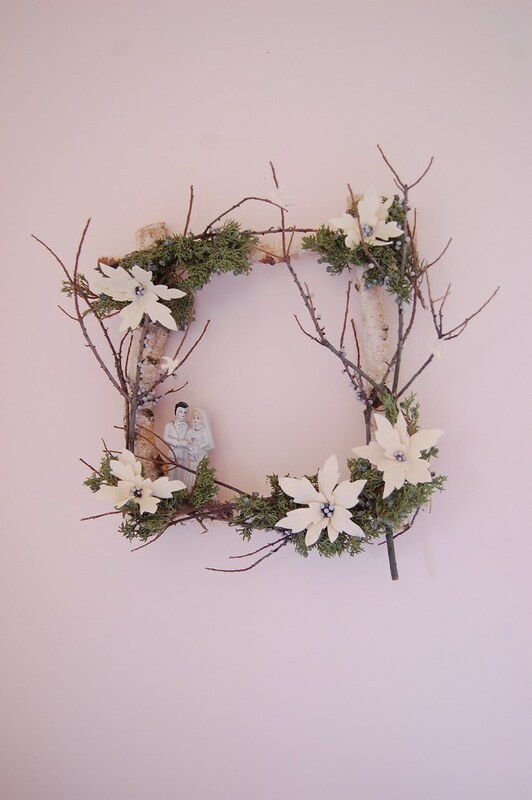 I designed this project for a wedding, but it could easily adapted for your own home holiday decor. The base is a birch, and it's adorned with tufts of Juniper and Bay Berry Branches. 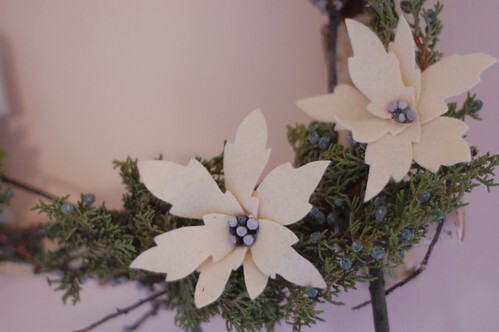 The Poinsettia blooms are made of felt. 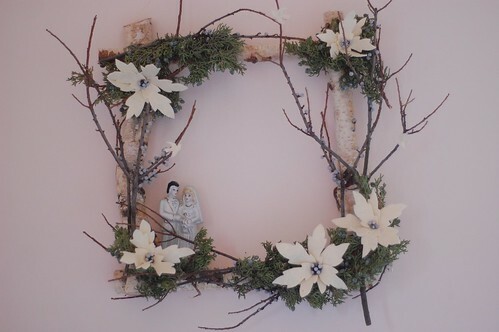 For complete instructions and a template for the flowers, please visit The Brides Cafe. Oh my goodness, your beautiful creations are breath-taking. I'm so happy to have stumbled upon this site. If you have a few moments, check out my blog and the small giveaway I'm hosting.